This bulletin gives details of scams that council staff have been made aware of in recent weeks. Please feel free to share this bulletin far and wide - you can send it to colleagues, family members or friends as it is a public bulletin. 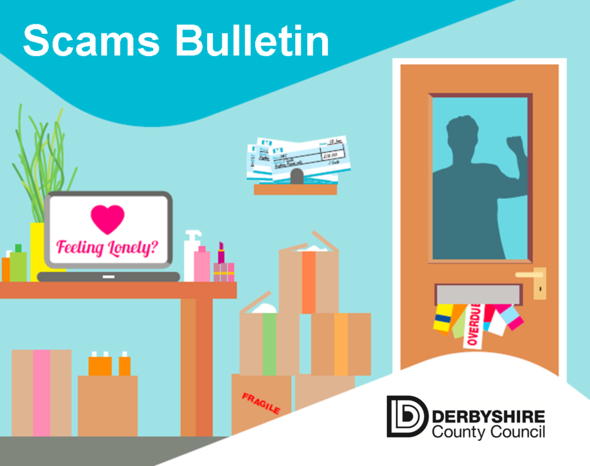 Want to receive future editions of the Scams Bulletin? Residents have recently received phone calls from a rogue company claiming to work for the council. They stated council tax bands had been adjusted upwards and residents were owed over £100. The scammer will then request some form of payment or will ask for bank details. The public are reminded that they should ignore such calls. District Councils would write to residents directly informing them of any changes. Anyone who wants to check their council tax banding free of charge can do so at https://www.gov.uk/council-tax-bands or call the Valuation Office Agency on 03000 501501. Working with the Midlands Fraud Forum, The Insolvency Service have produced a series of videos called 'If Only' based on true stories around financial abuse and scams. The short films see victims of common scams tell their story and share the simple steps they could have taken to avoid being scammed. These stories are told by actors but each one is a true story. Watch the videos on the gov.uk website. Trading Standards are warning residents to be vigilant after residents reported being targeted by companies offering to install 'scam' burglar alarm systems. Officers are warning people that there are companies specifically targeting vulnerable people, selling to them, and then overcharging for their products. Officers say that a popular tactic is to convince residents that crime is rising in their area – claiming their alarms will ensure an immediate police response. They are also warning that the salesmen will provide misleading information to get into homes. Advice is to always be extremely careful of businesses which 'cold call' you, either by telephone or at your door. If someone contacts you out of the blue or turns up at your home unexpectedly do not agree to their business or let them into your home and never give them personal or card details. If you are thinking of having an alarm fitted, try to obtain three separate quotes from different businesses, and look to use an approved trader scheme, such as Derbyshire Trusted Trader. Trading Standards have received a spate of reports of scam companies cold calling by phone, offering them a paid-for service that they claim will block cold callers. However this service is already free of charge from the Telephone Preference Scheme (TPS). The TPS will never call you out of the blue - the only reason it would phone is to return a phone call. So if you do receive a call claiming to be from the TPS, you can assume it’s false and ignore it. Example 1: a vulnerable 76 year old was recently threatened by two men who visited her property in the Alfreton area. The men demanded to cut the lady's hedge and then extracted an extortionate payment. One of the men put his hand on the victim's shoulder and said "You seem like a nice person but I can hurt you". He then pressed his fingers harder into the victim's shoulder. She felt very threatened, intimidated and afraid. The lady paid £500 in cash (although she says the men asked for £150,000 initially). They refused to give her receipt when she asked for one. The incident has been reported to the police and the lady is being supported. Example 3: A resident in Ilkeston reports that someone posing as a window cleaner, offered to clean his windows for a good price and he accepted. The window cleaner came into the house and when the resident turned his back, his wallet was stolen. The thief went straight to the shops and used the resident's card making contactless payments up to the daily limit. The client didn’t realise it was missing for a few hours. Example one: ''I received 2 strange emails recently. The first from 'Natwest bank' saying they have blocked my account and I need to contact them with my bank details. The second was from 'Nationwide building society' saying exactly the same thing. I am not with either of these banks but I know someone who is. Another resident told us about similar emails involving Tesco Bank and Natwest MasterCard - he has neither. Example 1: Many resident have reported receiving calls claiming to be from HMRC. When the call is answered a pre-recorded message is played that states the person owes money to HMRC and then asks the person to enter information on the telephone keyboard. HMRC confirm they wouldn't contact people in this way. Example 2: A bulletin reader received a phone call from a man calling himself "Geoff"who informed her that she was paying £7.00 per month for a maintenance contract for a Sony TV and that he could get it cheaper for her so she would only pay £5.00 per month. The reader does not have a Sony TV and do not have a TV maintenance contract anyway, so recognised it was a scam. When the reader said she would need to check her paperwork and asked for the callers number so she could ring him back, he hung up. Example 3: We've had various messages from Derbyshire residents telling us they received phones calls from someone saying there were problems with their internet connection. These calls claim to be from BT Internet or TalkTalk. One person was told that they would need to disconnect their internet and another was told they would need to change their IP address. BT Internet and Talk Talk confirmed these were not genuine calls. If in doubt, hang up and call your internet provider on their usual, advertised phone number. Example 4: One of our patients has been contacted via telephone by a man who was advising her to arrange her funeral through his company to lessen the burden on her family when she passes away. The caller advised her that she could arrange and pay for this today over the telephone by giving him her card details. Obviously this was quite distressing to the lady and she/we wanted to make others aware in case any other elderly people in the county get similar calls. Have you heard about a phone, postal, email or doorstep scam that's been happening locally? 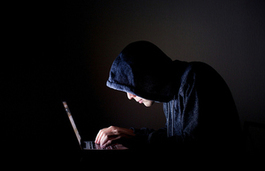 Or maybe you've come across an online scam or a copycat website. Let us know so we can share the scam in the next Scam Bulletin to warn others. This bulletin will be sent out periodically based on demand. We can't guarantee to publish all the information you send in, but we'll try and make sure to get the message across. That is the urgent message to the Derbyshire community, particularly the elderly. The advice follows a spate of incidents in Chesterfield yesterday where people received phone-calls from fraudsters pretending to be police officers. The vulnerable victims were instructed to make large withdrawals of cash and to take the money home and await collection. Four people were targeted in Chesterfield on Tuesday, August 8 and cash was collected by the fraudsters from two vulnerable victims. PC Richard Parkin said: “Individuals that made these phone calls falsely identified themselves as representatives of different police forces from around the country. “The fraudsters told the victims their bank accounts were being used fraudulently or that they had people in custody and, in order to protect the money in their accounts, it needs to be withdrawn and collected by a police representative. “Elderly people are clearly being targeted as part of a criminal strategy, so please talk to friends and family if you believe they might be vulnerable to this type of crime. “Put simply, a genuine police officer will never call a member of the public and ask them to withdraw money. 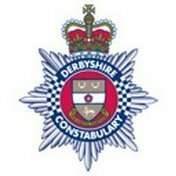 Derby residents are being warned about a recent scam which involves people illegally posing as bailiffs in an attempt to seize items from properties. The scam follows a similar format to Channel 5 programme ‘Can’t Pay? We’ll Take It Away’ whereby bailiffs visit properties to seize items when people can’t pay outstanding bills. As part of the scam, people are pretending to be bailiffs by wearing authentic looking clothing and targeting elderly and vulnerable people. A Derbyshire Adult Care worker recently reported that one of her clients bought some fresh fish from a van on her street, for which she paid £50. Further enquiries showed that the 3 packets of fish in her freezer would not have amounted to anything near £50. Trading Standards often receive these types of reports. The door-to-door sellers often target elderly or more vulnerable residents, convincing them to part with large sums of money for fish that is unlabelled or mislabelled, out of date or very close to being out of date or that has been previously frozen. Householders are also led to believe they are only buying a few pieces of fish but are then presented with much larger quantities and pressured into taking them, often handing over more than £100. One customer recently thought she was buying a couple of fish for £10 but was forced to pay a bill for £176 and was ignored when she told the rogue trader it was far too much. Although there are some legitimate doorstep fish sellers out there, we advise residents to be cautious if approached by any unfamiliar traders. If you have any doubts at all, don't buy from them. Instead buy from your local shop or supermarket or mobile fish sellers who regularly visit your area. Report scams and suspected scams to Action Fraud or tel: 0300 123 2040. Send potential postal scams with a covering letter to Royal Mail at FREEPOST Scam Mail, email: scam.mail@royalmail.com or tel: 03456 113 413. Report unsolicited marketing calls to the Information Commissioner's Office or tel: 0303 123 1113. Register phone numbers with the Telephone Preference Service or tel: 0845 070 0707. The Mailing Preference Service (MPS) is free and can help reduce unsolicited mail by calling 0845 703 4599. Contact the Age UK Derby and Derbyshire Information and Advice Line on tel: 01773 768240. Age UK also have a downloadable guide on recognising and dealing with all kinds of scams. 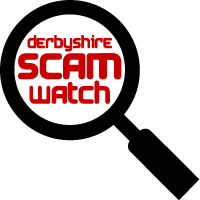 Derbyshire Scamwatch is a project funded by the Police and Crime Commissioner for Derbyshire. The aim is to raise awareness, particularly amongst older residents, of the potential harmful effects of mass-marketing, internet, doorstep and telephone scams and to provide one to one advice and support where potential scam/fraud victims are identified. Tell a trusted friend, relative or neighbour. Age UK Derby and Derbyshire can provide help and support for older people and their carers if they've been affected by a scam or rogue trader. Local residents can call the helpline on tel: 01773 768240. Age UK also have regular information roadshows at events around the county. 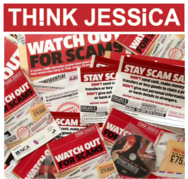 Think Jessica is a Derbyshire-based charity set up to help and support people affected by scammers and also to highlight the effects on victims. Victim Support offers free and confidential help to victims of crime and anyone else affected. Tel: 0808 1689 111. The Derbyshire Trusted Befriending Network aims to help isolated and vulnerable adults find befriending services. For more information email befriending@sdcvs.org.uk or tel: 01283 219761.